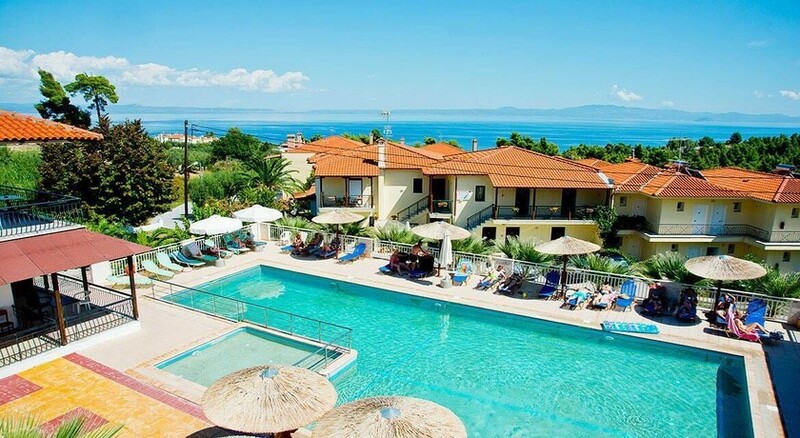 Enjoy a sun filled holiday in Kriopigi by booking your stay at the comfortable Medousa Hotel. 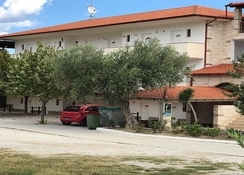 Offering a warm and hospitable welcome, the Medousa Hotel is close to the popular Kriopigi Beach and the sparkling blue bay of Kassandra, on the Halkidiki peninsula. This self catering hotel is terrific for couples and friends featuring comfortably furnished studios and modern amenities. Guests to the Medousa Hotel can visit nearby historical sites and attractions such as the large Blue Flag marina with plenty of water sports, a vast coastline featuring private bays, and Kriopigi's lively centre. 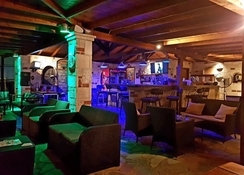 Kallithea, with its restaurants, bars and nightlife, is about 4 km from Kriopigi. 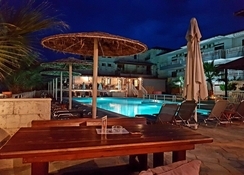 For a memorable holiday in Kriopigi this hotel makes the grade! Thessaloniki International Airport 90 km from the Medousa Hotel. Local Tips: Check out Turtle Lake near Polychrono, the home of the Testudinata Turtle. The facilities the Medousa Hotel offer everything you need for a relaxing holiday. Food, drink and entertainment: There is a hotel bar and snack bar along with many dining choices within walking distance of these self-catering studios. Sports, games and activities: Swimming pool with sun beds and umbrellas, water sports are available at Kriopigi beach in high season. Additional: Reception with friendly staff, foreign currency exchange, car rental. The Medousa Hotel features studios with twin beds, kitchenette 2 ring cooker, fridge, shower & WC and pool view.